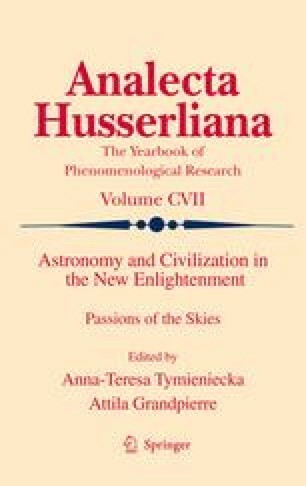 Since the beginnings of humankind, the fascination with the sky has been regarded as an important element in human life and history. The regular patterns of the motions of celestial bodies enabled peoples around the world to create systems of knowledge and generations of skywatchers carefully tracked their positions to understand how to conduct the human life on the earth. Time keeping, calendars, clocks on the one hand and worldviews, cosmologies and cosmographies on the other, are the most obvious examples of cultural products attesting for the impact of the sky upon society. To avoid unnecessary repetitions, all human-celestial relationships are systematized and presented within the “lifeworld”-type model that encompasses three interrelated spheres to which the “real” reality of the universe investigated by astronomers may be added.